Huawei is launching phenomenal Smartphone product with beautiful designing shape. Huawei is releasing Huawei Honor 8 all across in World along with exceptional features. It is sleek and beautiful body look Smartphone with shining body contras. Huawei provides few attractive colors of this hand-set for easily attract of cellular operators for buying this Smartphone. It is giving highly quality feature in this hand-set with Android Marshmallow system. 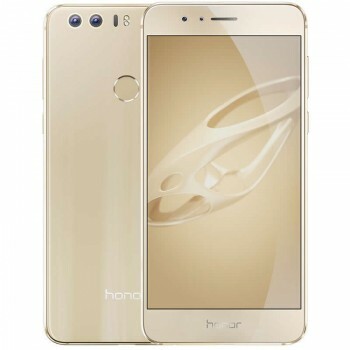 Honor 8 is in attached speed processor system of Quad-Core along with 3 GB RAM option and this is not enough it is also providing Micro SD external storage support up to 256 GB with two slots It has also included 32 GB built-in memory option in this cellular phone and users don’t get to face hanging problem while using this Smartphone. Huawei has created highly quality camera feature in it and users can avail excellent quality 12.0 mega pixels rear and 8.0 mega pixels front camera option in this mobile phone. It has added various camera unique features like laser auto focus, smile detection and many other more. It is complete feature Smartphone has launched by Huawei Company with astonishing features and Customers gives high-level look of his/her personality by buying this fantastic Smartphone of Huawei. The specification details of hand-set are given as below with completely. Processor: Quad-Core 2.3 GHz Cortex-A 72, Quad-Core 1.8 GHz Cortex- A 53 and HiSilicon Kirin 950. Rear Camera: 12.0 Mega Pixels (Laser Auto-focus). Display Colors:Emotion UI 3.1, 16M Colors and LTPS capacitive display touchscreen. Bluetooth v4.2 with A2DP, USB, WLAN, GPRS, EDGE, EDR, LE, WI-FI Direct, WI-FI Hotspot and Dual-Band. 3G Enabled: HSDPA 900 / 1900 / 2100. Audio: 3.5mm audio jack, FM-Radio, MP3, MP4, WAV Media Player, FLAC Media Player and Other Media Players. Other Features: Infrared port, Multi-touch display option, Nano-SIM option for single and dual SIM, A-GPS support, BDS Support, Speaker-Phone, LED Flash camera option, Long-Standby battery option, Face-detection camera option, Calendars, Document viewer and Google Maps. Latest Features: USB Type-C 1.0 reversible connector, Fingerprint sensor, DTS Sound System, Accelerometer sensor, Active noise cancellation via MIC, External SD memory storage up to 256 GB with two slots, Smart Power 4.0, Speedy Battery Charging Function, GLONASS option, Photo/Video editor and Compass sensor. Available Colors: Sakura Pink, White, Gold, Sapphire Blue and Midnight Black. You may also like it: Huawei Nova plus Smartphone.